The tees have been realigned to the centre-line of play for better visibility, and to create lines of boundaries to the left. Additional tree planting will also help prevent this. The fairway is still very wide and has been substantially reshaped. The fairway bunker has been modified. The area to the right is also lowered to enable a better view of the green complex from the drive target area. 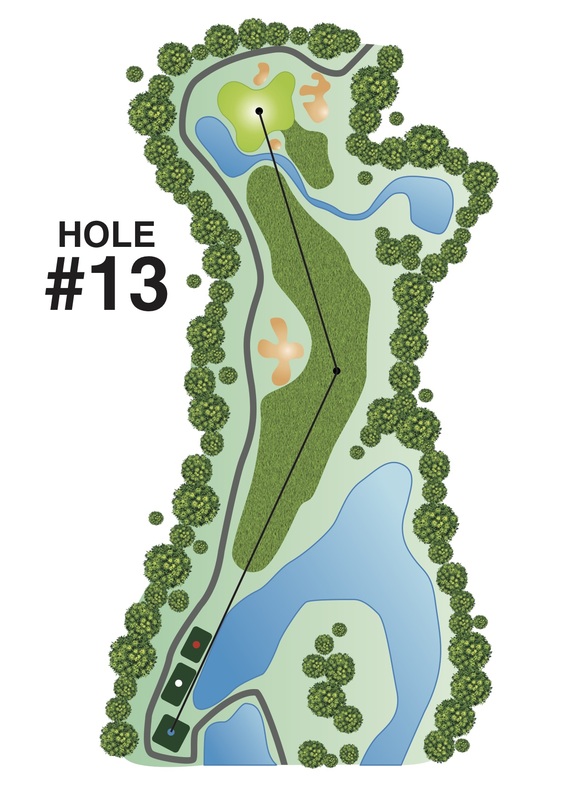 A pond has been added left of the green and the outlet stream crosses to the front of the putting surface, closer on the left and further from the right. The green is the largest on the Navy Course and is divided by a sharp slope into two main putting areas. The easier approach to the green is to the right, but if the flag is on the left, the approach putt will be extremely difficult. Playing this hole will definitely put the golfers' skills and experience to test.